TechRules, the leading company for advanced wealth management solutions, introduces T-Advisor, the first roboadvisor in Spain. T-Advisor is a suite of tools to manage and monitor portfolios. It offers a new commercial channel to gain new customers amongst financial advisers, wealth managers and financial entities. Roboadvisors have deeply changed financial advisory landscape in US. There are already several solutions that have created a new business model where technology and human capital join to add value to financial companies and entities. 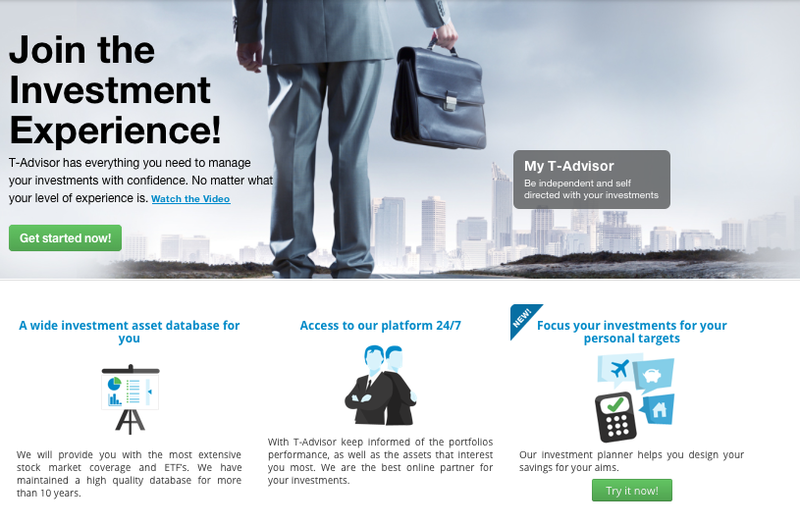 T-Advisor has been launched for a year and a half and it has already more than 1.000 users that manage their portfolios. The suite is based on data accuracy, a list of more than 6.000 assets and dozens of world reference markets to look up, an easy-to-use toolkit with many hints and the technological support by a leading fintech company as TechRules. Tomorrow, TechRules will officialy introduce T-Advisor to professionals from the finance branch in Spain. In the presentation, TechRules general managers will give many details about its main features that get close finances to everyone. “This concept didn’t exist in Spain. TechRules detected that the roboadvisor model is a future business line. Solutions as T-Advisor let financial companies have available tools for their customers, so that they feel the control of their investments. At the same time, these companies benefit from an easy-to-manage platform that opens a new communication channel with individual investors. This technology provides a higher adaptability, as it opens our business to a greater number of people and reduces substantially the costs. In exchange,you obtain a collection of tools with excellent and professional features”, explains Jaime Bolívar, TechRules general manager. T-Advisor is a suite of professional tools with an easy and usable design to approach finances to everyone. With these tools, individual investors can organise, monitor and modify their investments to get the best results. In our blog, we have written posts full of details about all features. This entry was posted in Discover and tagged fintech, roboadvisor, T-Advisor, Techrules on January 20, 2015 by Oscar Garcia.